Spin bike or an upright bike? Ever wondered why so many people are recommending you to start with cycling to get back into shape? Now if your plan to do it from home you can either get a regular spinning bike or an upright bike. Now while these two may seem quite similar there are some obvious differences that you should know about before you go ahead and purchase any one. Here is all that you need to know about the two cycling machines. The most important difference between the two and probably one you would notice first is the position in which you exercise. 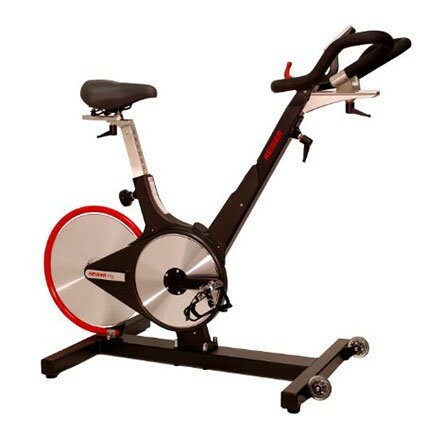 While a spin bike allows you to workout in various positions which is great if you are looking to burn extra fat an upright bike isn’t so compatible. Another major difference between these two machines lies in their flywheel system and here too spin bikes seem to have an edge since they usually sport a heavier flywheel which is exactly what you need to burn up those extra calories. The only thing that makes upright bikes so popular is their low cost as compared to most spin bikes. If your budget is low then yes an upright bike is ideal for you but if you are willing to put in the extra bit of investment then yes I would definitely suggest you go only for a top spin bike like the Keiser M3 plus.